Meet Our Professionals | Connecticut | Internal Medicine of Milford, P.C. Exceptional services start with a dedicated, passionate team. Meet the professionals behind Internal Medicine of Milford, P.C. 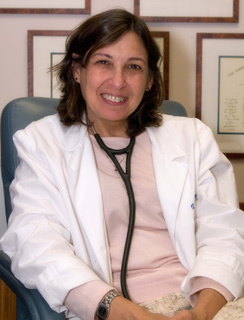 PersonalFrom her compassionate listening to thorough examinations to her ‘whole-person’ approach, Dr. Rosenberg believes in the relationship between a patient and their physician. Every patient has a story and Dr. Rosenberg takes the time to learn that of her patients. 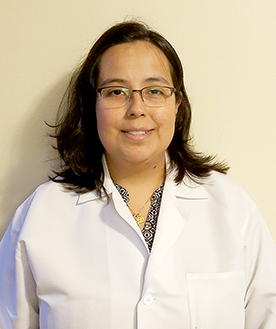 In addition to being a board-certified internist, she holds an additional board-certification in Pulmonology and is director of IMM’s pulmonary diagnostics lab. PersonalDr. Snyder, a born educator, believes in empowering his patients with knowledge. He is known for his meticulous approach; drawing upon his years of experience and taking the time to educate his patients. 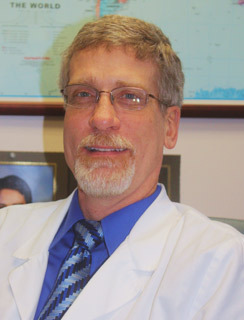 Dr. Snyder arms his patients with useful information thorough explanations and real answers. PersonalWith a strong commitment to building and maintaining a long-term relationship with his patients, Dr. Spanolios provides a comprehensive and thorough visit for his patients. He has a clinical interest in managing chronic diseases like hypertension, diabetes, and hyperlipidemia, as well as practicing and promoting preventive medicine. Dr. Spanolios’ interest in geriatrics led him to earn The Hartford Foundation Scholar award in Geriatric Medicine and he continues to educate himself on the unique needs of this special population. 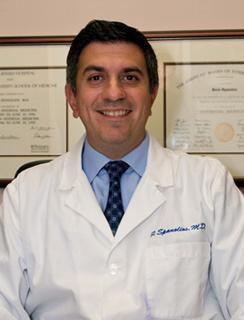 Dr. Spanolios is a dedicated Yankees fan who embraces his Greek heritage and visits Greece with his family every three years. PersonalDr. 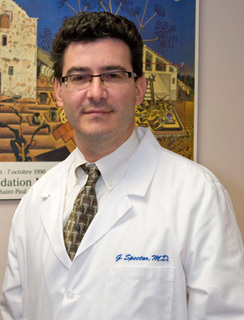 Spector offers his patients a combination of laughter, warmth, and understanding. He was drawn to medicine after a family loss and pursued medicine to make a positive impact in the lives of patients and their families. He offers straightforward answers in a down-to-earth manner that puts his patients at ease and is known as both a very good listener and diagnostician. When he’s not at IMM, Dr. Spector spends time with his wife and 2 boys. PersonalDr. Tracy knows there is more to a patient than the symptoms they are experiencing when they walk in the exam room. His empathic approach is demonstrated by actively listening to his patients, putting them at ease, and letting them know they have an ally. By addressing all aspects of a patient: emotional, physical, social and psychological, Dr. Tracy partners with them to make the life changes they need to live a whole and happy life. 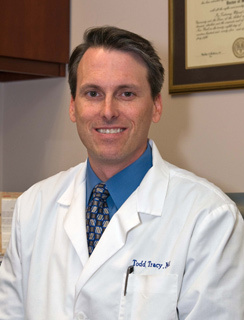 Dr. Tracy and his wife have twin sons and enjoy spending time together as a family. PersonalDr. Shute was inspired to become a physician by a childhood spent helping to care for her ill grandmother, and observing the needs of the patients in her underserved community at her father’s medical practice. Recognizing that a patient’s story does not end with their diagnoses and medication lists, Dr. Shute is dedicated to caring for the whole person. By providing a thorough visit, with an emphasis on counseling and education, she helps empower her patients to get and stay healthy. Warm, patient, and compassionate, she puts patients at ease and creates a safe haven for any questions or concerns they may have. A South Bronx native, Dr. Shute is fluent in Spanish. She and her husband have two daughters. When not at IMM, she loves spending time with her family, and enjoys traveling, cooking, and baking. PersonalAfter years of cardiac nursing in the hospital setting, Dana decided to pursue an advanced degree in order to more fully and wholly, take care of her patients. She strives to create a warm and empathetic environment which is the foundation of a trusting relationship between the patient, family, and practitioner. Her ability to make complicated ideas or issues more understandable is part of her everyday practice as education is of highest priority. She enjoys treating acute illness and managing chronic disease but takes any advantage to discuss health promotion as well. In her free time, Dana enjoys exercising, boating, and homesteading on her grandfather’s property here in Milford and spending time with her husband and son. PersonalAlex has finally fulfilled her lifelong dream of becoming a nurse practitioner. 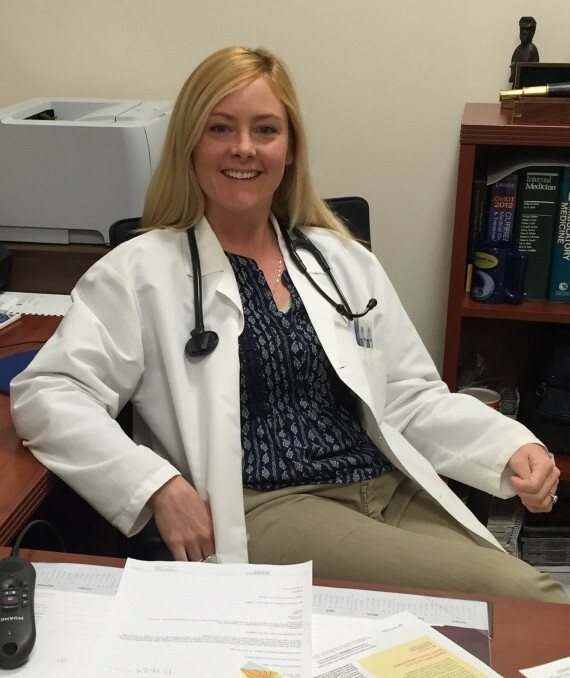 After obtaining experience in cardiac nursing, she decided to start a career in primary care where she feels she can have more say in her patient’s overall physical and emotional health. She values creating relationships with a trusting foundation and treating patients like she would treat her family. 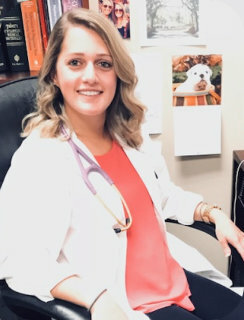 She strives to make decisions together with her patients by placing an emphasis on education to empower them to stay healthy and to create a plan that works best for them. In her free time, Alex enjoys cooking, exercising, boating, spending time with her friends and family, and playing with her new puppy.